I love making small things! Lately I’ve wanted to make a mini quilt. 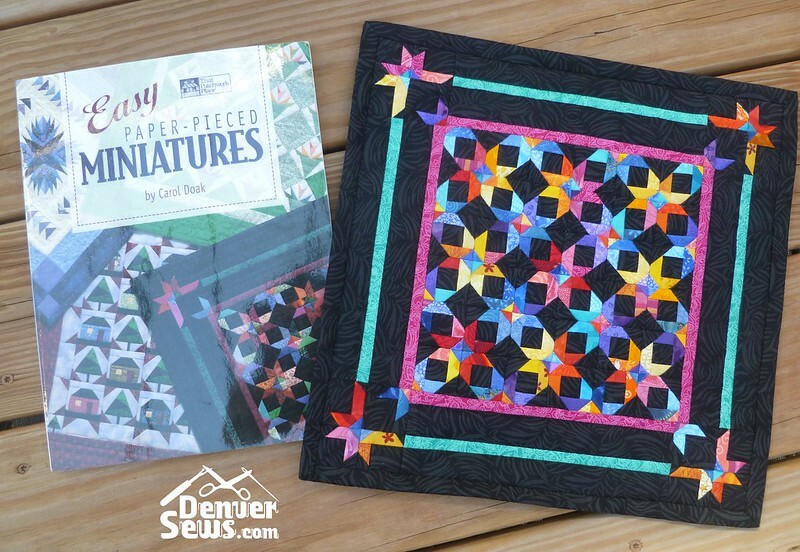 I have Carol Doak’s book Easy Paper Pieced Miniatures from 1998. She sells the pre-printed foundation pieces for each quilt from the book on her website here and they’re currently on sale. So I purchased two, one for the Scrap Stars and one for My Little Town. 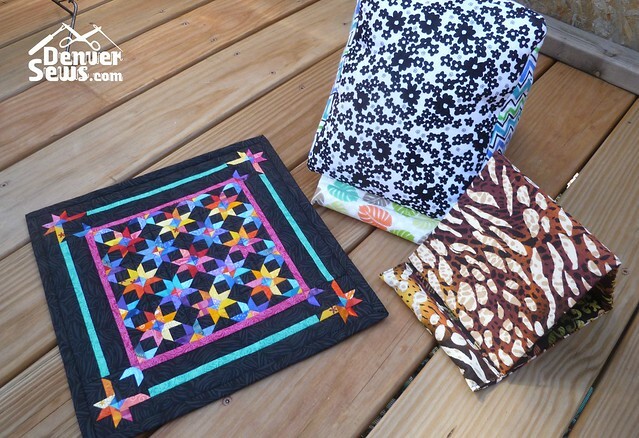 Each quilt is 12.5″ x 12.5″ when finished, so they’re pretty tiny! But first, I needed a way to watch “The Good Wife” on my iPad mini while I was sewing. So I needed to make an iPad stand. Levenger makes these beautiful iPad stands, including some plushy ones. I quickly found this near-look-alike from Pixels to Patchwork and thought I’d give it a try. I carefully followed Taryn’s excellent instructions, deviating only in the choice of stuffing. She used some kind of Poly Fil that looks like round balls. 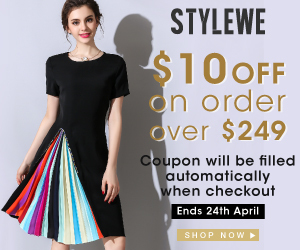 I could not find such a thing at my local sewing store, so I used Sew Perfect Poly-Pellets that I found at Hancock Fabrics. They came in small bags so I ended up using two bags unopened in the bottom of the pillow and some loose ones in the ledge. I also deviated from her instructions somewhat by leaving a small flat area between the ledge and the pillow. The stand has a zipper in the bottom for the stuffing and a pocket in the back. I added a loop at the top so I could easily pick it up and carry it around. It turned out great! It works predictably better with the larger iPad which is heavier and leans back more. My iPad mini is a little light and short so it could benefit from the ledge sticking out a little further next time. I also made a 2nd iPad stand that is a bit smaller and can fold up. This pattern was free from Craftsy. It’s the Free iPad Stand by Gaila Designs. This is a super simple iPad stand to make. It’s basically a tri-fold stand that is anchored with velcro. It holds its shape with three (3) 6″ x 6″ pieces of cardboard or foam board which are inserted into the long sleeve which makes up the stand. I’ve discovered that a rotary cutter slices through foam board quite nicely. Don’t worry, I have one cutter for fabric and one sacrificial cutter for everything else! I also love this simple, collapsible design. For the ledge, the pattern suggests using a dowel or a nice thick pencil. I opted to sew down the ends of the dowel tube and filled it with poly-pellets instead. You an see that the two stands differ greatly in size. Both work just fine with either a Maxi Pad or a Mini Pad. Honestly, I’ll probably use the smaller one more often, but the big pillowy one is perfect for lounging in bed. So I’m happy with both! Now that I’ve got my iPad stands finished, I can work on the main attraction. Oh what fun a mini quilt is! The center portion of the design consists of 6 x 6 small blocks, each block is 1.25″ x 1.25″ when finished. 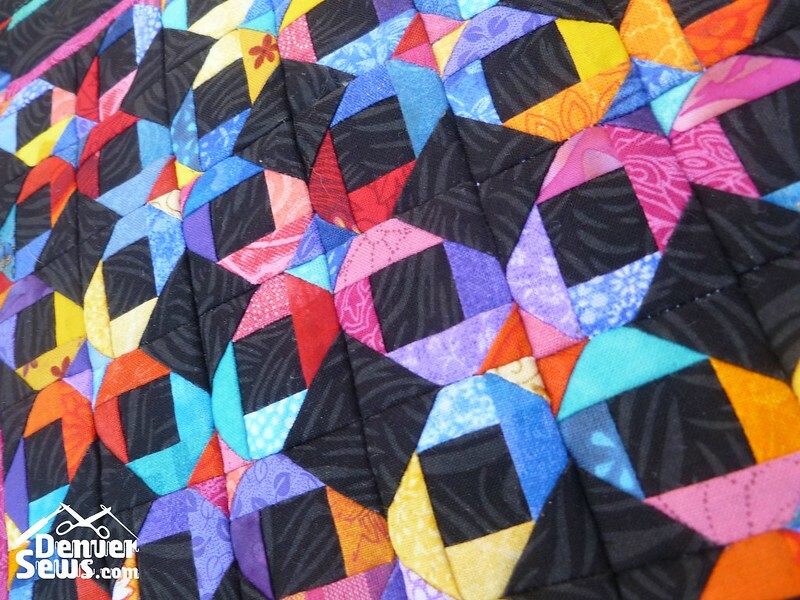 Without paper piecing, these blocks would likely be impossible to make neatly. But with paper piecing, you can sew some pretty darn small things with a fair amount of accuracy. Instead of the usual Add-a-Quarter-Inch ruler, I used an Add-an-Eighth-Inch ruler. This helps keep seams small in proportion to the block size. All-n-all (yes, an Earth Wind and Fire reference), I loved how this quilt turned out! I love the bright colors against the black. I also did a decent job of turning the corners with my quilt binding. I used a 1″ bias tape maker to make the quilt binding, but it was a little too narrow. Next time I’ll make the binding using wider strips of fabric. And for the first time, I put a fabric tube on the back for hanging. This little quilt is not getting turned into a tote bag or a hot dish pad! 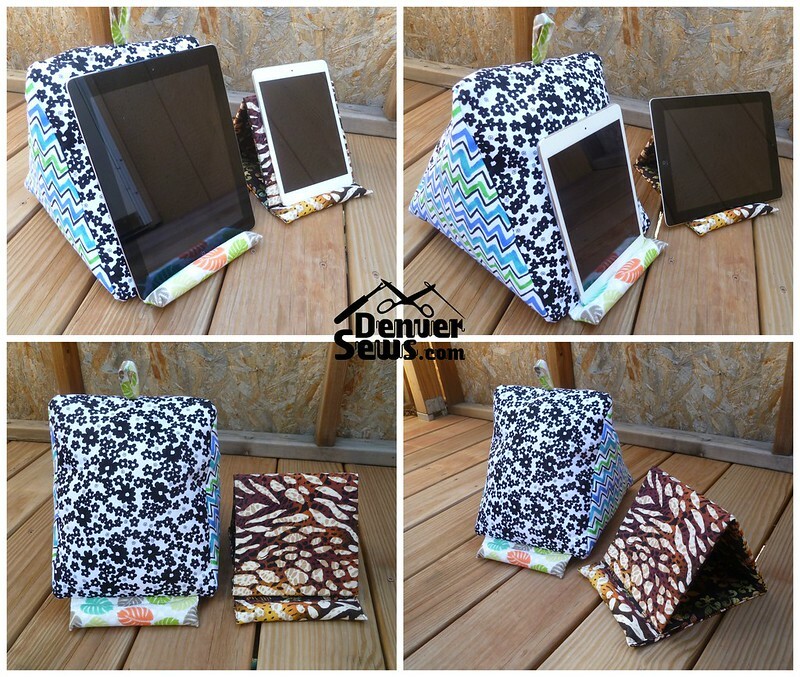 So overall I love both of my iPad stands and the mini quilt. Slowly I’m getting caught up on “The Good Wife”, but I’m not there yet. So I guess I’d better get started on that second mini quilt! Next QoM – What does it take to be an Advanced Seamstress? The mini quilt is amazing. I’ve never seen a quilt that small, with such tiny pieces. Yes, it doesn’t seem ‘easy’ at all. Beautiful! I can’t believe it’s easy to make something like that. It just seems impossible to me. But I really admire the results. It reminds me of the little silk rug I bought in China. We went to a silk “factory” (all the work is done by hand), where they made amazing hand-tied silk rugs (like Persian rugs but pure silk) with a zillion invisibly tiny knotted threads per square millimeter, Really, too dense to be believed. Anyway, I bought a 12″ x 12″ rug and have it on my entry table. 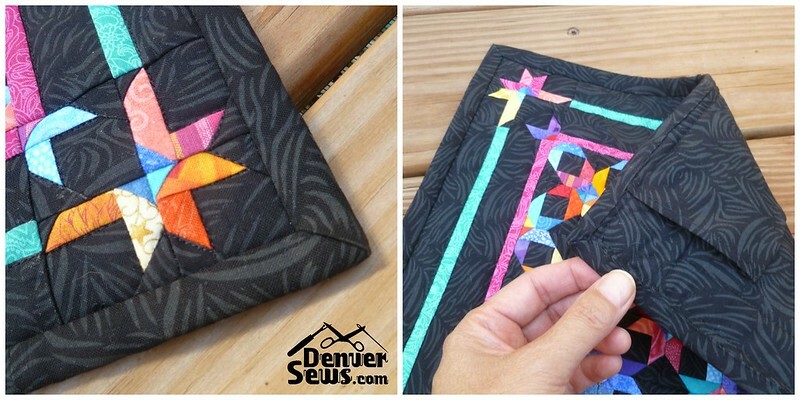 Your amazing little mini quilt is like that, too pretty to be used for anything but display.